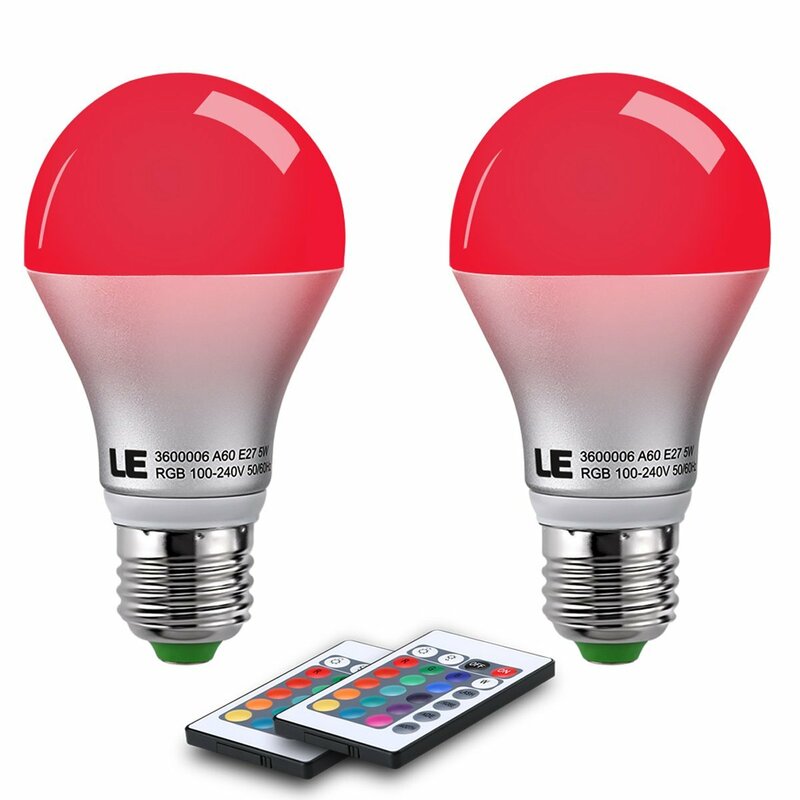 Home › Energy-Efficient LED Lighting › Le Pack Of 2 Units 5W Dimmable A60 Led Bulbs Color Changing 160 Beam Angle Rg.. Le Pack Of 2 Units 5W Dimmable A60 Led Bulbs Color Changing 160 Beam Angle Rg..
Color changing. 16 color choices by remote controller (included). Wide beam angle. Beam angle is 160, which is perfect for residential and commercial lighting. Packof2Units Input: 100-240VAC Colorchanging. 16colorchoicesbyremotecontroller(included). Dimmable. Controlledbyremotecontroller(included). Widebeamangle. Beamangleis160,whichisperfectforresidentialandcommerciallighting. EasyInstallation. CanbeeasilyfittedtoreplaceregularE27MediumScrewincandescentorCFLlightbulbs Extremelylonglife. Lowermaintenancecostsbyreducingre-lampfrequency Eco-Friendly. Noleadormercury SolidState. Shockproofandvibrationproof AboutLE LightingEVER,abbreviatedtoLE,focusesoncreatingthebestlightingexperience. OnlyhighendLEDandadvancedopticaldesignareadopted.EnjoylightingwithLE.